Designed to operate without an attendant. Choose from three different content experiences or let the user select. No WIFI? Or a bad connection… not a problem. StoriCam works offline and will upload content when it detects a WIFI connection. Collecting data from users is essential to business growth. StoriCam does all this for you and will report back to you. Photos and videos are streamed into a live gallery that promotes social sharing and engagement post the event. Post to Facebook or Twitter profile accounts in real-time. Get a detailed report of the performance your StoriCam did. Intuitive, delightful, fun is what we hear almost every day. Experience Stori for yourself. Manage your booth all from our cloud. Storage of your content and data for up to 1 year. Embed advertising banners, scratch-and-win widgets and more in your emails. Full access to the data collected. Our platform is built for scale. 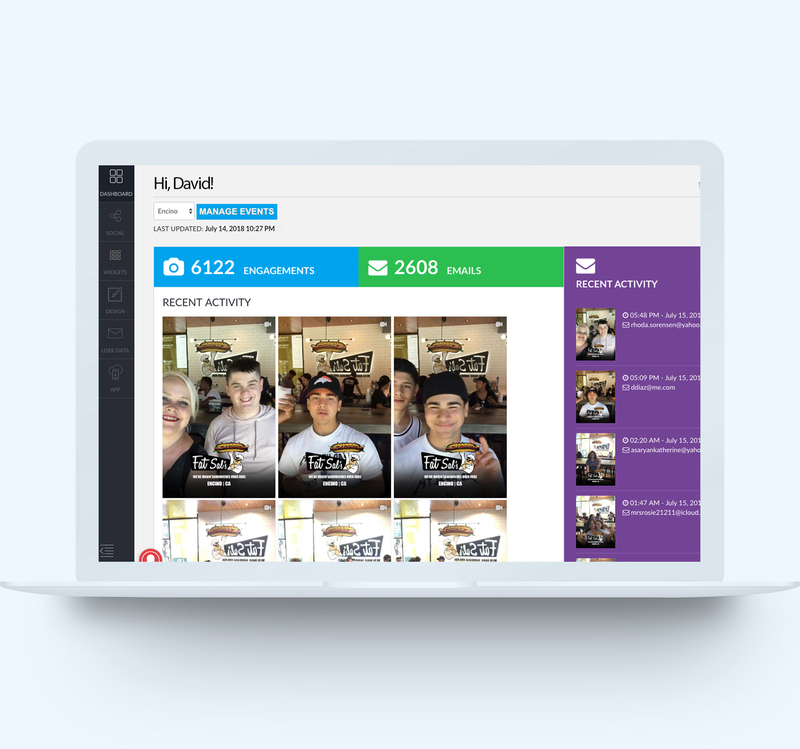 We process more than 2,000 videos/photos each day from hundreds of connected StoriCams.